It's cosmopolitan and chameleonlike, equal parts cool and kitsch, and animated with an irrepressible vitality that's capable of reinvigorating even the most world-weary among us. 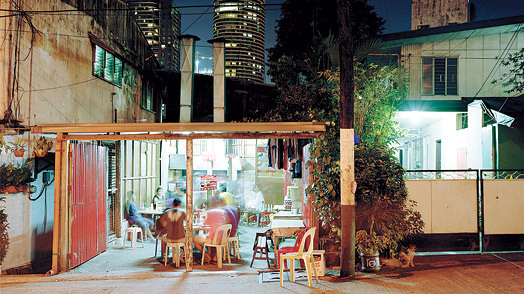 Yet for many folk Manila remains a city less traveled, because its myriad attractions are obscured by a flawed p.r. machine. The city's cultural gumbo of Malay, Spanish, American, Chinese and Arabic influences is heady and rich, but takes a while to fully appreciate. As in many developing-world cities, the traffic is stifling, the poverty pervasive and the urban sprawl daunting. But it's the Philippine capital's very elusiveness that gives it the edge over places that readily reveal their spoils. Embrace its beautiful chaos, even for just a day, and you'll be rewarded.